It’s officially spring here in the UK, flowers are blooming and the weather is getting warmer. However, if you are tending to any plants, do remember to keep watering cans out of reach of young dogs – especially Dobermann puppies! 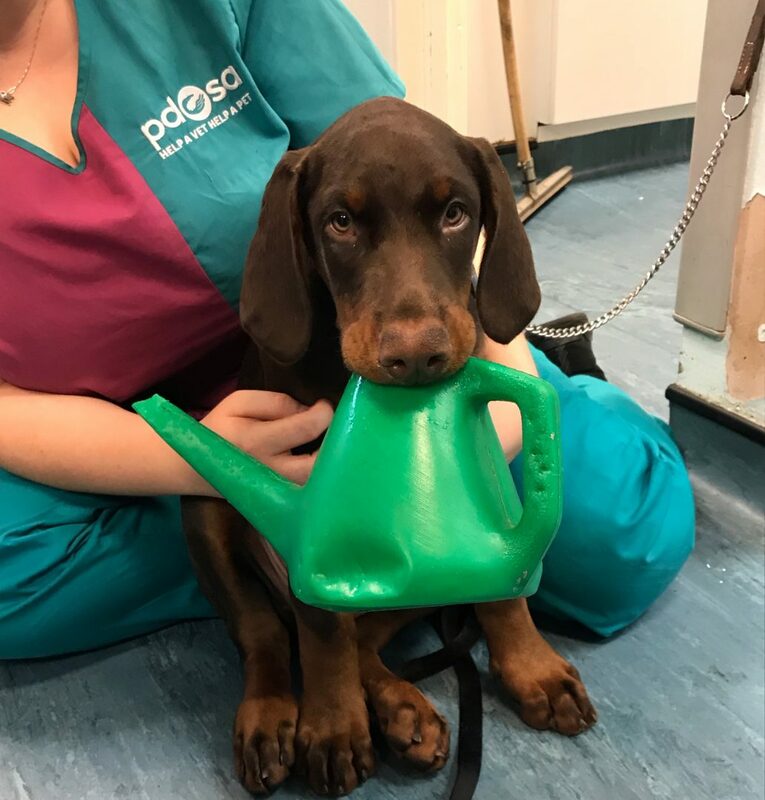 A three-month-old Dobermann puppy called Cassius needed emergency treatment by PDSA after he managed to get his mouth stuck inside a watering can. 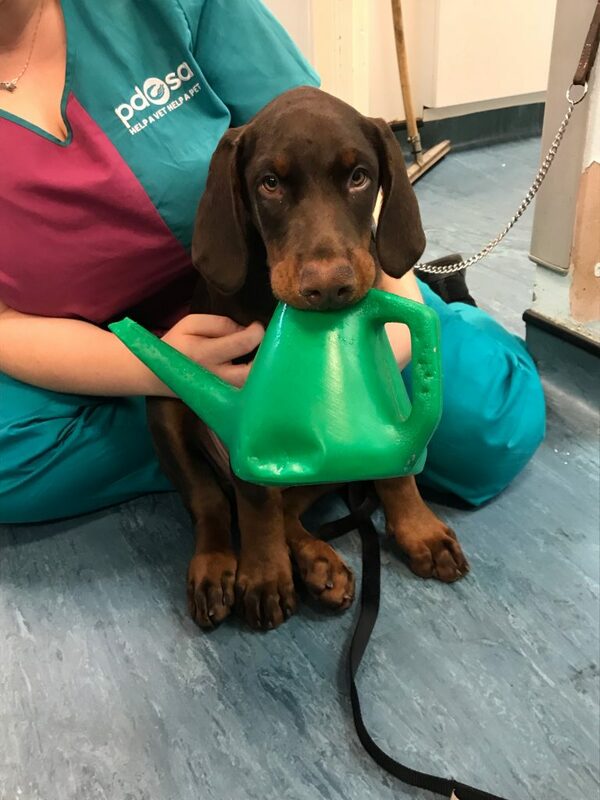 Chloe Watton, the owner of Cassius, was tending to her house plants and left a watering can on the side, when the curious pup decided to investigate. Cassius was rushed straight through to treatment, when he arrived at Hendon PDSA Pet Hospital. He was became increasingly distressed and in a lot of pain, producing lots of saliva. 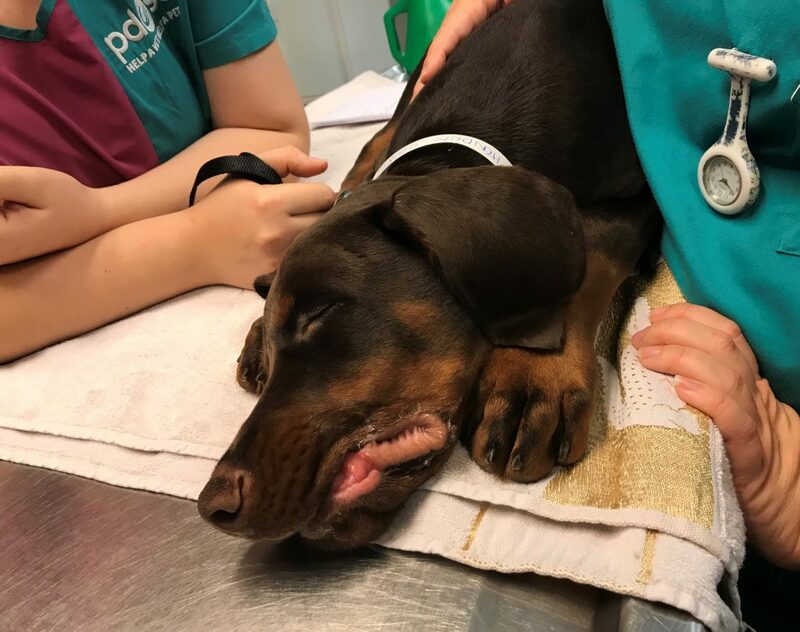 Tracy Lutwyche is Head Nurse at Hendon PDSA Pet Hospital, she explained that Cassius was sedated before the watering can was cut so that the vet team could remove it from his jaw safely. She said, “The can was really stuck so we weren’t able to release it while he was so anxious.